Hello to Book Girl of Mur-y-Castell bloggers from Rosanne Bittner! 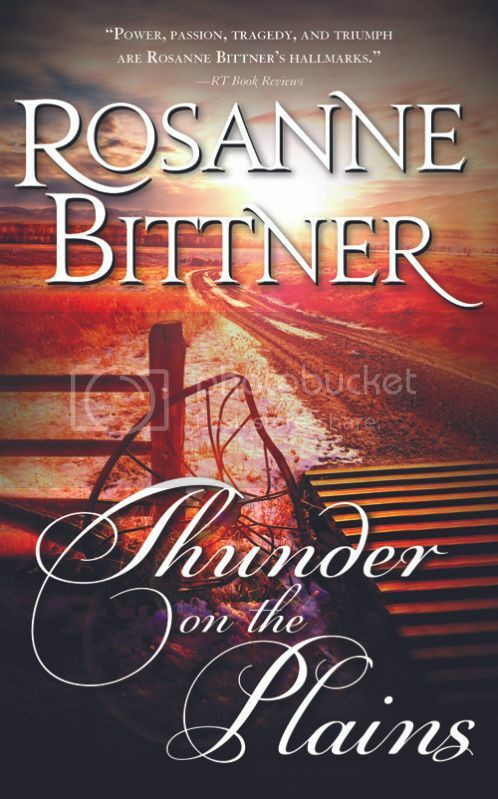 Just want to tell you to be on the lookout for the reissue of my western historical romance, THUNDER ON THE PLAINS, coming from Casablanca (Sourcebooks) this month! I will be celebrating this reissue and the 4th of July all month long with a virtual party at http://rosannebittnerbookparty.blogspot.com/! Come visit, and you might win a free copy of THUNDER and/or the grand prize of a Kindle Touch! You asked for personal information – 3 “fun” things about Rosanne Bittner. Hmmmm. Well, I know how to put a worm on a hook and take a fish off the hook –clean it, scale it, and cook it! And for several years, besides working at full time jobs my husband and I grew 40 acres of asparagus. I know how to plant the roots, and how to ride an asparagus picker and snap off the shoots at just the right size. I know lots of things about asparagus and farming! Surprised? People think us writers just sit in little rooms in ivory towers and write to our hearts’ content. How I wish! I was able to quit my regular full time job to write, but it takes a lot of time and work and perseverance to keep pumping out the books – and now I do a lot of book work for a family tool & die/mold building business – I go in to my office (where I also write) every day at 8:00 till 5:00 – just like everybody else, except I don’t need to punch a clock and am free to come and go – which is nice. So, there is another thing you know about this writer – I am a part time accountant, and my “right brain” hates it. Right brain would rather be writing! You asked about my book being reissued this month- THUNDER ON THE PLAINS. Set amid the building of the transcontinental railroad, this book is a great love story with a “to die for” hero (Colt Travis) who falls in love with a beautiful woman (Sunny Landers) who comes from a world of wealth and a lifestyle totally unfamiliar for Colt. Colt is a rough and rugged scout, and Sunny has inherited a hand in helping fund the Transcontinental Railroad. Although she and Colt are worlds apart in how they live, but that doesn’t stop the fierce physical attraction between them that turns into a hot love scene out on the Nebraska plains (you’ll love it!) – and into forbidden love that brings many obstacles into Colt and Sunny’s path to happiness. THUNDER is one of my favorite stories. You asked if it was hard not making Sunny and Colt’s road to happiness much easier. Well, that doesn’t make for a page-turning story. It’s the struggle to get there that keeps the pages turning and keeps the readers glued to the book, anxious to find out if these two will find their happy ending. Unrequited love and the deep longing to be with the one you love above all else is great food for plot twists and for bringing out the tears in my readers. I have always written in the genre of 1800’s America, especially the Old West and Native Americans. I absolutely love America’s history, and the settling of the Great West brings a writer a wealth of ideas for wonderful, romantic, adventurous stores set against real history. I have always loved stories about pioneers and Indians and how today’s big cities like Denver and San Francisco came from nothing but the discovery of a little nugget of gold. It is amazing how fast this country was settled. I think my love for the West and it’s grand landscapes and strong, brave settlers shines through in my books. Colt was definitely the most fun character to write in this story. I love my tall, dark, brave heroes, which makes the love scenes more fun to write, too! I don’t know who would play Bo and Sunny in a movie. I’ll let my readers do their own daydreaming on that one. Next up is a brand new western romance from Sourcebooks next spring called PARADISE VALLEY! It is set in Wyoming and along the famous Outlaw Trail. Great hero! You’ll love it. 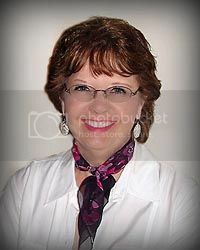 Just watch Sourcebooks and my own web site at www.rosannebittner.com – and my blog at www.rosannebittner@blogspot.com for more news about the book and how I will be promoting it. Meantime – be sure to visit my virtual 4th of July party and submit your name to win a free book or a Kindle! Or let's see, what can I think of today..how would you have fared in a Western setting? I love Early American Historicals and really looking forward to all these reissues coming out. They are so hard to find in second hand stores! Nice post! Interesting that the author was a vegetable farmer :) Thunder sounds good! Nice fun facts, Rosanne. All the best on your reissued book. What a fun interview. I have my mother's old Zane Grey books. Maybe I need to bring them out of the box. I also love the Great West, there is something mystical about that time. I can't do nothing but admire it... from far. I don't think I'd fare good in that environment. I love my modern amenities and can't imagine my life without them. Asparagus! Yummy one of my favorite food ever. Thank you for the giveaway, I'm participating with my US address. I would have fared very poorly in a western setting. I love to read the books though. I probably would have done pretty good in a western setting. I love reading stories about the old west. Thanks for having the giveaway. Hi new to your post over from Goodreads, wow what a versital young woman, yep sounds like authors dont just sit up in their ivory towers, the story sounds like a good one and would love to read and review it, thanks for sharing today. Sounds like a great read to me. Every now and again I like westerns!! I absolutely love American Historical Fiction. I have to research for the books that I want to read and this one is on my list. Would love to get a free copy of this. Can't wait to see who wins a copy. Thanks for all your hard work on each book.